Top floor position & contemporary interiors combine to give this unit exceptional appeal. Situated in a boutique security building, an enviable lifestyle is on offer close to Newtown, Marrickville & various transport links. An ideal pad for first home buyers or investors, this unit features a delightful open-plan living space opening to a secluded balcony via French doors with a tranquil leafy outlook. The chic European-style kitchen offers ample bench space & integrated washing machine. The double bedrooms offer built-ins robes. The bathroom is fresh in appearance & neatly presented. 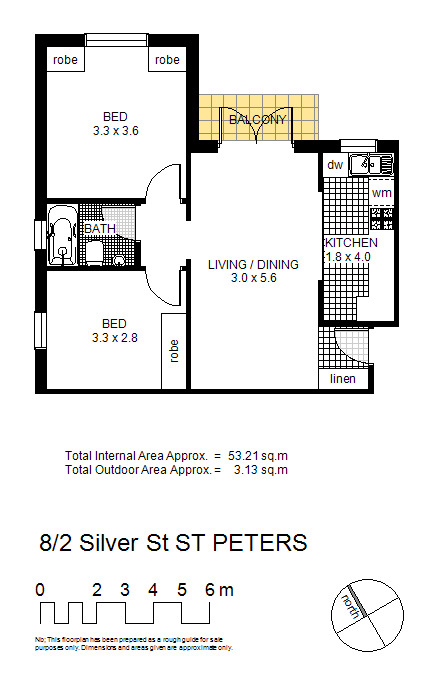 This unit is immaculate & is ideal for those looking for privacy & low maintenance living.